According to Wikipedia, a rainmaker is a person who brings in new business and wins new accounts almost by magic, since it is often not readily apparent how this new business activity is caused. Sales is not a term in their vernacular. Business development and leveraging long term relationships is where it is at. Rainmaking means making a big splash - generating substantial new business or additional cash flow from sources sometimes outside established business channels, sometimes by connecting with people in non-traditional or hidden markets, and sometimes by prompting current clients to spend more money. 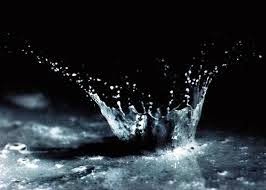 A rainmaker is not merely a salesperson, but a principal or executive who is usually highly regarded within the enterprise. If you are one and are looking for a venture that values your skills enough to let you buy in to an ownership stake with your talents and results? Call me. 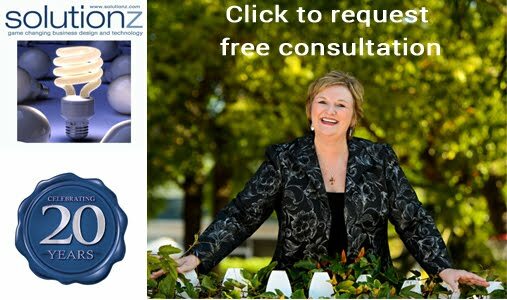 Just click on the CONTACT button on my website. Let's talk. I got ahead of myself and published S before Q and R. Actually it was just a placeholder, so now I have three blogs to write today to catch up. I'd better get busy! 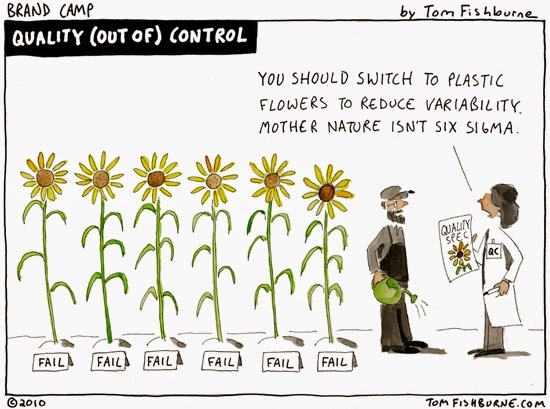 Today I want to begin with this cartoon from Tom Fishburne about Quality. The QC person in the cartoon has come in and ranked the sunflowers as failing her quality tests. I suspect the farmer was quite happy with his crop. In this case, her definition of quality was perfection, that could only be achieved through a rigorous quality process, such as Six Sigma. For the farmer, God's creation is perfection itself, even though there are variations in the output. The QC person's suggestion that only by switching to plastic flowers can perfection be achieved, would have caused the end product to be inferior. As an entrepreneur that builds technology, while quality in everything that we do and build is important, perfection is not. If you wait for everything to be perfect, it can be a good reason to delay doing anything. Every recipe has ingredients in proportion. Americans know from reading product labels that the top 3 ingredients listed represent those that are included with the greatest volume, as compared to the other ingredients. If you are building a heart valve or a part that is used in missile guidance systems, Quality had better be your top ingredient, or at minimum, one of the top three ingredients. But if what you are producing is not mission critical, I would suggest that you look at what you might have to give up to have an inordinate focus on quality. Do everything you do with excellence in mind. But a little variation or getting a product to market so that you can see how consumers react may just be more important than implementing Six Sigma. Check the order of your ingredients to your success soup. I am passionate about measuring what is important and what is significant. 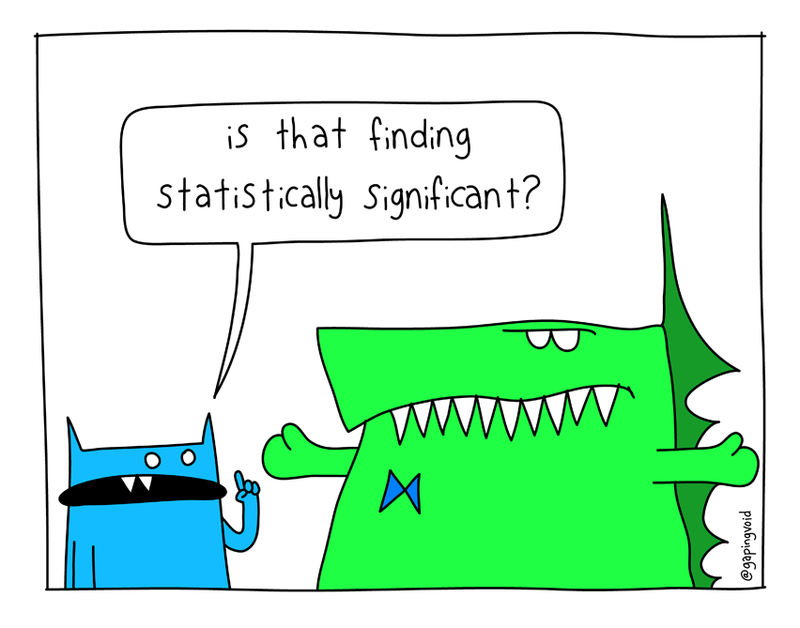 My problem comes when there is such an acute focus on statistics that we are paralyzed and cannot move forward without proper validation. This Gaping Void cartoon has my favorite lime green character delivering a "big" message. We don't know the topic, but the little blue cat is questioning whether his research included enough of a sample. In my consulting career I have worked with organizations that spent so much money and time on research that they never actually did anything. Don't let yourself get caught in that trap. Make sure that you know the top 3 drivers in your business and measure those. The buzz word of the day is KPI (key performance indicators). Figure out what each percentage point is worth (e.g. if you are up or down 10%). Celebrate when you are up and take a hard look at the reasons if you are down. Have an action plan in place if your basic metrics have a significant variation from what you expected. Also ask your customers (or potential customers) for feedback. The ones that will know if what you are hearing is significant are your front line - your sales people, your service people. Listen and don't get hung up in numbers. Stay tuned for the letter T. We are in the home stretch. While I know that the translation is not perfect, hopefully it will provide greater insights for you. Thanks again for your loyalty in reading the Solutionz Think Tank blog. This one was so obvious an ingredient to success soup that I should have done this blog before I started on the letter A. But here we are, more than halfway through the alphabet and we have reached the one that matters most. Yes I am a capitalist, but for me, money is a means to an end. And that end is leaving a legacy. In my lexicon, being rich means having enough to give without constraint. So profitability is key to giving. This is why I refer to myself as a philanthropreneur. Because while I do believe in supporting non-profits, the support actually comes from organizations that have profits to share with the less fortunate. There is nothing magical and mystical or even elusive about profitability. Your revenue has to exceed your costs. That is it. If it takes investment to build your product or service up to the point where it can be profitable, that needs to happen in a reasonable period of time. Reasonableness is defined by the one putting in the money. If you borrow from a traditional lender, then your first payment is likely due next month. So you had better be able to take that investment and quickly turn it into revenues, in order to meet the cost of servicing the loan. If you take in funding from an investor (whether friends and family, an angel, a VC or a private equity company), you need to understand their time horizon for getting a return and what multiple they expect. If you have been in a business for 2 or more years post funding and you are not yet profitable, call for some outside help. There is something wrong. It may just take minor tweaks, but please do not keep going down that path without getting some objective advice. I am happy to do a free 15 minute call with you. Simply go to my website and click on the CONTACT tab on the lower right hand side of the site and we can schedule a time. Stay tuned. Q is up next in our Success Soup recipe. Travel industry Distribution is like Sport Shoe Sales - or rather it should be. What if Sports Authority only had one door into its sports shoe department and it was marked "professional athletes only"? That would make no sense whatsoever. Right? What about the moms that buy sports shoes and the kids that wear them and the amateur athletes, oh and the dads. Sports Authority knows that they need to have their shoes available for sale to everyone. Granted perhaps Adidas are still the sports shoe of choice for professional football players and tennis players may buy more Nike shoes than Reebok. But there is no reason to limit their focus by providing a single door into the shoe department. If I were grading them on reaching the entire market, I would give them a resounding A+. The travel industry, not so much. This is a totally air centric bunch. Even hotel companies and cruise lines cater to the air traveler. 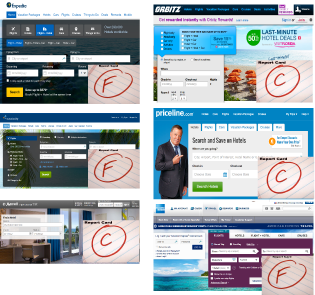 I have given Expedia, Travelocity and American Express' online portal an F.
The reason for this is not that they don't have beautiful sites. But their "door" is wide open to the AIR traveler, with hotels being a subsequent navigation. But even then, for those sites with HOTEL as the default, this is still selling a hotel room to an AIR traveler. If you are selling to the 89% that drive, you ask where they are starting from and going to and then you plot the available hotels along the route. That is a total oversimplification of the technological needs, but suffice it to say, you can't sell to both travelers the same way. If you want to look into this further, I am happy to work with your company to help expand your focus to this emerging market that has been forgotten. 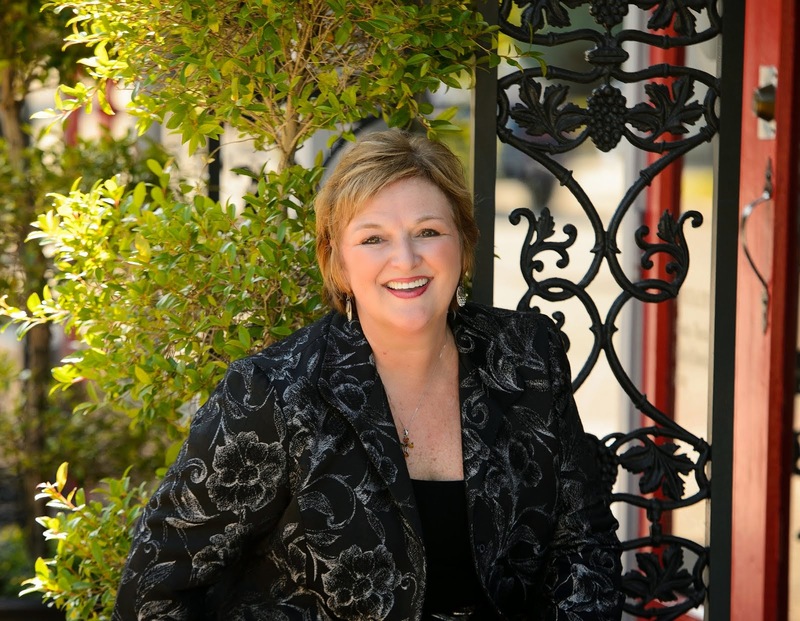 Go to my website and click on the CONTACT tab in the lower right corner of the site and schedule an exploratory, complementary 15 minute call with me. Stay tuned. I'll be getting back to my Success Soup ingredients tomorrow with the letter P for Profit. OK, that is BILLION with a B. If you would like to read the full story about this acquisition, you can click HERE. "The acquisition of Concur is consistent with our relentless focus on the business network," SAP CEO Bill McDermott said in a statement. "We are making a bold move to innovate the future of business within and between companies." Bravo to Concur CEO Steve Singh and his team. Scaling globally is a terrific goal and now you definitely have the platform and the funding to make your vision work. So I am now going to take a huge leap. Mr. McDermott and Mr. Singh, if a company that caters to the 33% of business travelers that fly is worth $8.3 billion, what do you suppose that a company that caters to the 67% of business travelers that drive is worth? If you want to innovate the future of business within and between companies, I would love to talk to you. 67% of the corporate travel market is NOT served at all. The first time that this travel shows up on the radar is in the expense report. So much negotiating power is lost. So much revenue and opportunity left on the table by the travel industry.